The Rebirth of cool. Shift was created on the promise to make riding fun, day in and day out. We set to recapture that original feeling of freedom, speed, youth, fun mixed with personalities that capture our ideal free-riding. Freedom. Youth. Fun. Speed. Personality....This is what makes Shift and this is where we intend to keep it. Black Label - Technical race-ready gear with uncompromised fit, undeniable style, and unbeatable value. The Rebirth of cool. 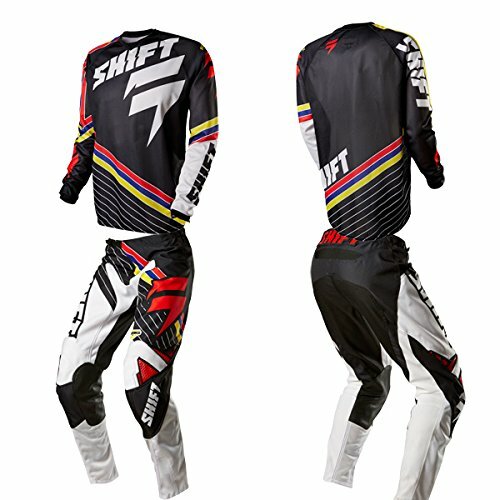 Shift was created on the promise to make riding fun, day in and day out. We set to recapture that original feeling of freedom, speed, youth, fun mixed with personalities that capture our ideal free-riding. Freedom. Youth. Fun. Speed. 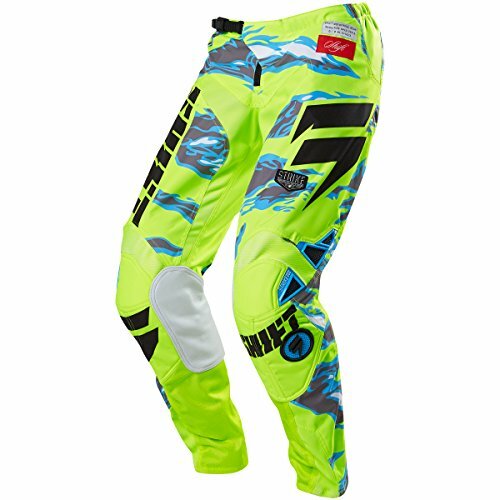 Personality....This is what makes Shift and this is where we intend to keep it.Lightness matters in moto and that's where the Strike gear comes into play in Shift's gear line. 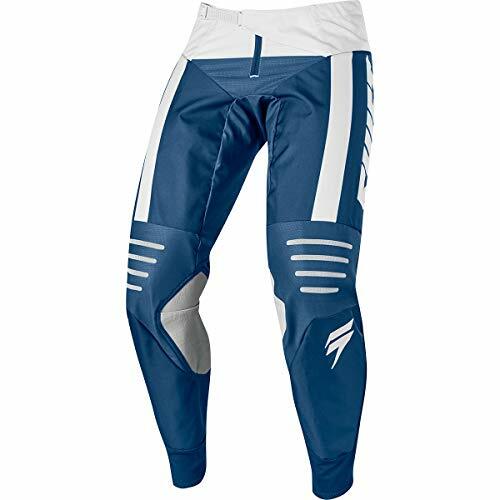 Made to fit and feel as light as possible without sacrificing its durability, the Strike features leather knees, minimal TPR on the pant legs and an unrestrictive jersey with an all mesh back. 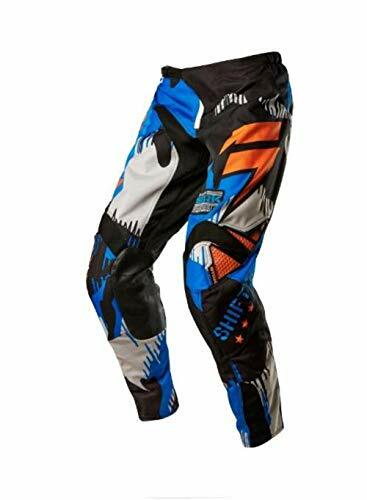 In addition, the pants get plenty of flex panels including a floating seat for improved motion. 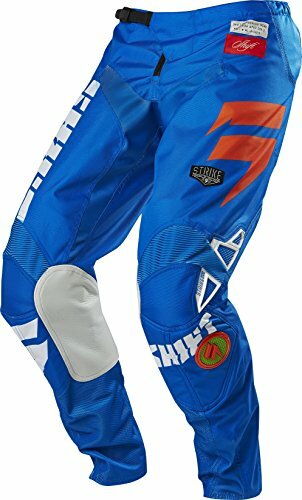 Distinct Name: Blue/GreenGender: Mens/UnisexColor: Blue/GreenSize: 40Primary Color: Blue600D main body material for added durability. Articulated design in the waist and knees conform to the rider while in the ride position. 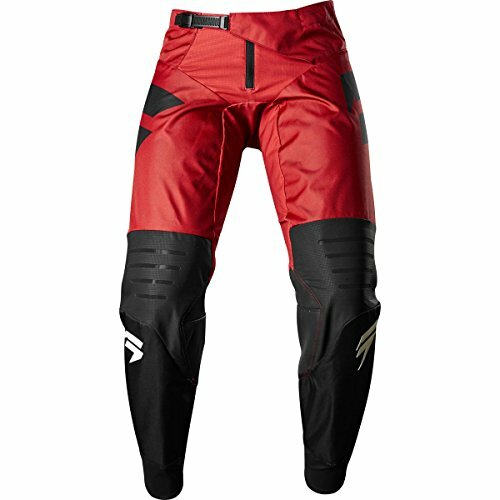 Leather inner knee panels provide both abrasion and heat resistance. Multiple stretch-zones ensure mobility and a contoured fit. Natural cuff provides extra comfort while tucked into the boot. 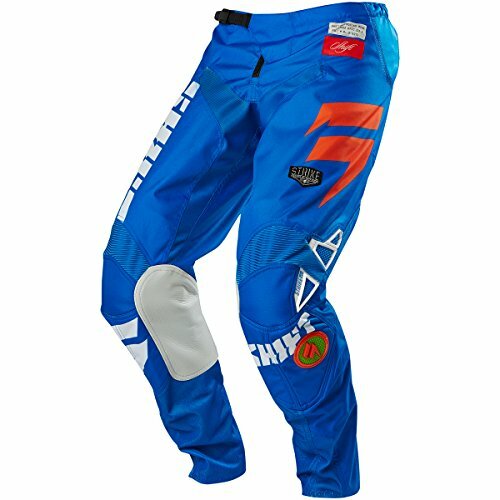 Compare prices on Shift Strike Pants at Elevelist.com – use promo codes and coupons for best offers and deals. We work hard to get you amazing deals and collect all avail hot offers online and represent it in one place for the customers. Now our visitors can leverage benefits of big brands and heavy discounts available for that day and for famous brands.